Can you believe that I've never had an outdoor mat to welcome people into my home? Never. In all of my house. I know, it's pretty pitiful. 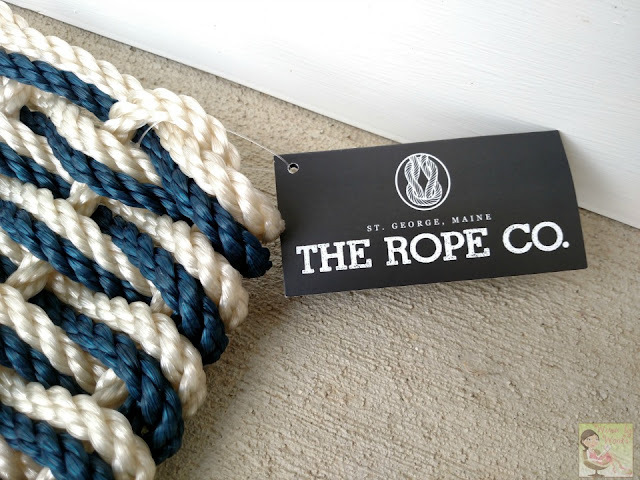 A couple months ago, I reached out to The Rope Co. I have to be honest, I had this mat for almost two weeks before I put it out. Listen, it was so pristine I didn't want it to get dirty. HA! Don't harass me, this is just me being me. Knowing I had to review it, I finally put this beautiful mat in front of our door. I was tempted to put a sign in front of it telling everyone to avoid stepping on it. STOP! If you had this at your front door, you'd feel the same. You might be thinking, "Um, this is just a doormat. What's the big deal?" So glad to know you were thinking that, because I have the answer. First of all, it's Made in the USA! Logan, the owner, is a 5th generation lobsterman, and his roots in ropes stems back to his great-grandfather who worked in lace mills. His story is amazing, and I would encourage you to read it. How many people do you know who can trace a line like his? It's really cool! 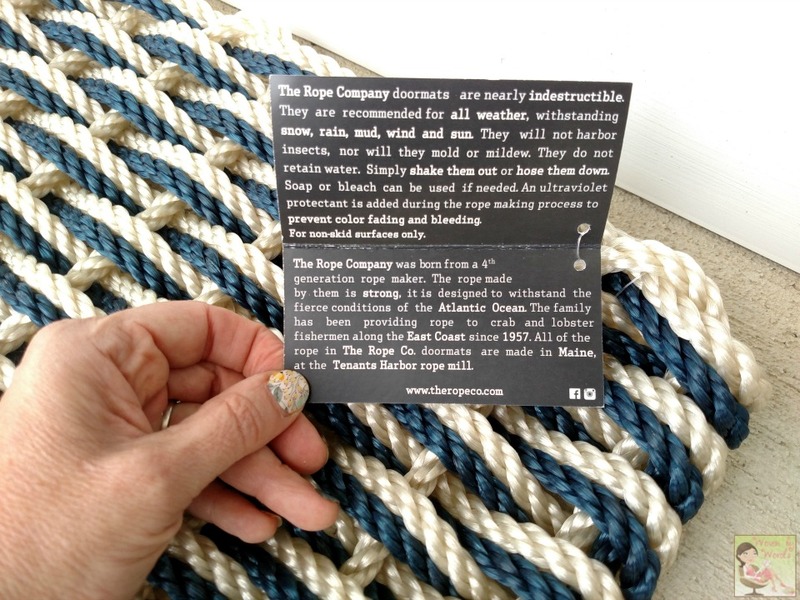 Their products are made from his father's rope company in Maine! What I've already loved about this doormat is that it's taken a lot of muddy paws and dirty shoes because it's been raining for almost two weeks here in Maryland! It's also easy to clean off. We can just whack it against the porch or rinse it off with the hose. Honestly, with all of the traffic of people coming in and out of our home, we knew we needed something that was durable. This particular doormat is the Navy & Light Tan from their Nautical Line. Pretty apropos since I'm living near the ocean now, and my hubby loves all things that do with the Bay. Specifically the crabs and oysters. My doormat is hand woven. It doesn't retain water so no concern about mold or mildew. It's also UV protected so I don't have to worry about the blue fading or bleeding. The Rope Co suggests using their doormats on non-skid surfaces or with a non-skid pad underneath. 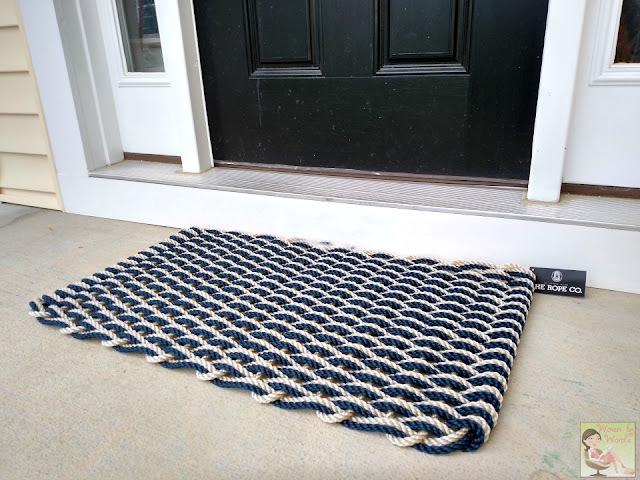 The smallest the doormat comes in is an 18" x 30" up to the largest for a double door of 26" x 50". So a great range of sizes for any home. They also sell more than just doormats. They have a magazine rack, a bin that would be perfect for keeping your blankets in your living room, and a rope basket that would look beautiful in a child's room. The Rope Co will add beauty indoors and out. Please be sure to visit this family owned company on their Facebook and Instagram channels as well! We don't even have a welcome mat and I have told my husband about 2400 times that I want one. And this is the one I want. It looks REALLY nice. Gorgeous! I love welcome mats and always had one at my house. I miss having one now that I live in a high-rise. Oh I'm a huge fan of a good outdoor mat. It's such an easy way to personalize the space, to make a fashion statement or just get in a mood for the upcoming season. I have several that I rotate and this hand woven one looks like it would be a nice addition to my collection. You had me sold with him being a 5th generation lobsterman. I lived in Boston and have maj respect for these people! The matt is really cool, too! You know now that I think about it I did have a doormat... now where did it go?! I bet I haven't seen it in years. This one looks awesome. That looks so pretty! 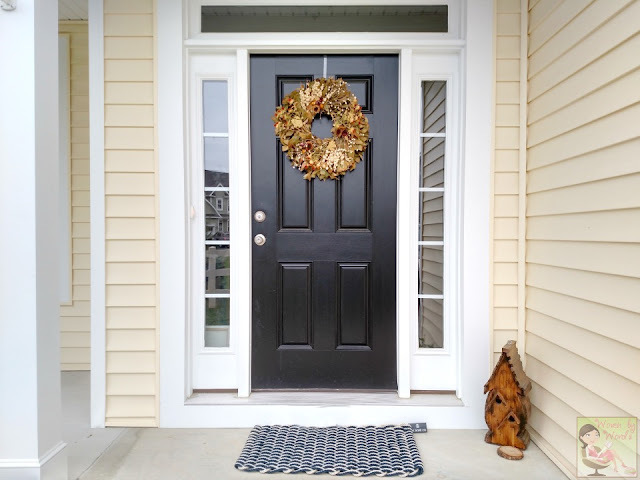 It is nice to have a door mat to welcome people into your home, I think that it gives your front door a "finished" look! It's gorgeous! I was all ready to get one but I don't have a nonskid pad. I'm wondering if it would show through? I love this doormat and that is a great story. I want one! This is absolutely gorgeous! We don't need a doormat in our house and I kind of miss having one! Ong how fabulous is this mat?!?! We just recently got one for our back door... Now we need one for the front. This outdoor mat is really nice. I was just thinking this week that the outdoor mat to our house is looking a little raggedy and needs to be replaced. This so cool and unique! I love handmade things and this looks super durable! LOVE! Oh I really like that mat! Its so classy and sturdy looking. The colors almost remind me of a nautical theme! I love the look of these mats. They look both attractive and durable. My favorite is navy and gray. I am always purchasing door mats. I really dislike all the dirt that comes in our house. I need good mats like this one. The styles are wonderful. I love the nautical feel to it. Love the dark grey and blue from the website. I love this, it is stylish, the colors are vibrant, yet it seems as if it will hold up for a long time. They look like great mat's. I usually have one of those hard rubber ones. This seems to be a really substantial mat. It would be great to have or as a gift item for anyone. I went to their website and I adore the royal & blue mat. I just love the look of this doormat. I really like handmade items for the home. This looks like it would be really easy to take care of! I love the colors and it definitely gives a pop to the front entrance. I'd love to have one! I really like the looks of this rug. It looks nice. It also looks sturdy and well made. Around here I would love it because it would really get the dirt before it got tracked inside! I love the look of this mat and the fact that it really works. 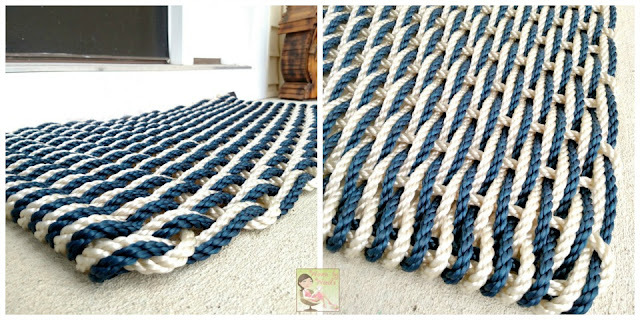 I have never seen one of these rope mats before but will be looking for a mat here in the next few months when I move. I love these mats, as a boater, all my friends would be so jealous if i had a rope mat. It is so cool, and amazing looking, and it lasts. I can understand how at first it was difficult to put such an attractive mat in front of the door to be stepped upon. It is great that the mat is so easy to clean and it still looks great. I have not seen rugs like this but they are beautiful. They look rugged too.